Ain't No Sunshine by Bill Withers is such a beautiful song and is proof that you don't need fancy chord progressions to write a true masterpiece. The entire piece just uses Am, Em, G and Dm and is a great one to learn if you've not been playing for long. As three of the four chords are minor it gives a very sad, somber feel and this fits perfectly with Withers' melancholy lyrics. 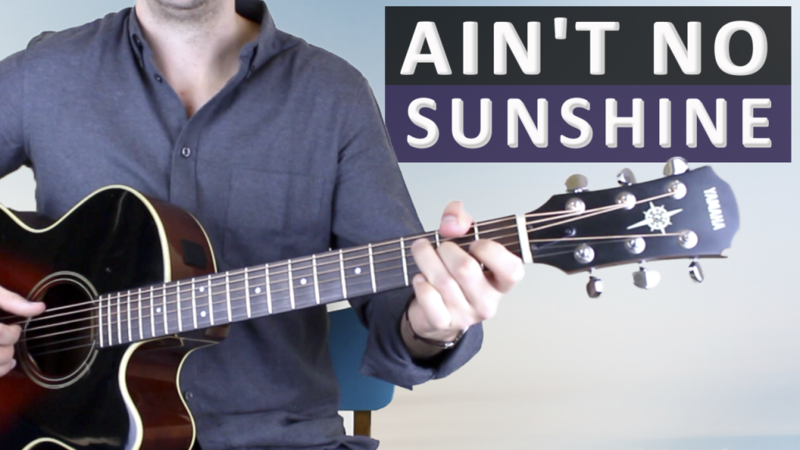 Ain't No Sunshine is no. 4 on my Top 60 Fingerpicking Songs of ALL TIME list. If you've not seen the list be sure to check it out! Visit the store and see the gear I use. Learn more about the techniques used in this song. There aren't too many parts to this short and emotional song; it's really just two verses with an instrumental between them. For the verse we use our thumb to play the bass notes of each of the chords and our 1st (i), 2nd (m) and 3rd (a) fingers to play the D, G and B strings. First we pluck the bass note and then we play the rest of the chord all together missing out the high E string. This pattern continues throughout the entire song. The software ALL guitarists should have. All tabs were created using Guitar Pro, start your FREE TRIAL today and get transcribing all your favourite songs. After the first two bars have been repeated it goes to Em minor for a bar then Dm for another bar, still using the same right hand pattern. During the interlude (I know, I know, I know, I know etc.) it simply hangs on a Am chord; however, here no pitched instrument is actually played, just the drums as Withers carries the harmony with his vocals. 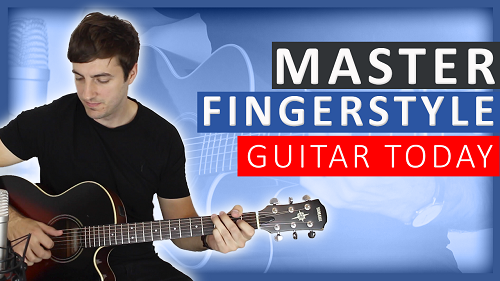 I hope you've found this lesson useful, if you're interesting in taking Skype lessons with me and taking your playing to the next level then just click here. 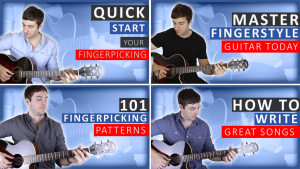 Take my Complete Beginner's Guide to Fingerpicking Guitar course to make sure you really are developing perfect technique.